Guide: bulk logo candy prices. 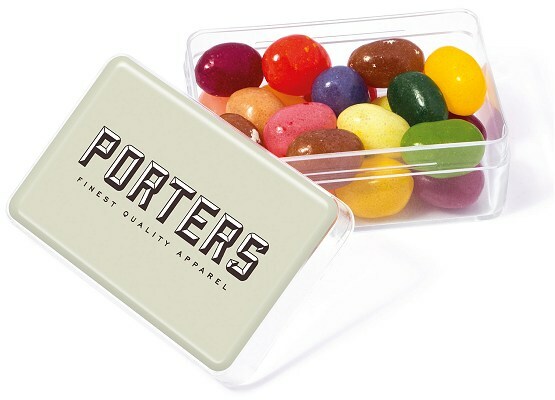 A 56x37mm midi rectangle transparent plastic box filled with 30g of jelly beans has your 55x35mm logo printed in full colour on the lid. You choose the Gourmet Jelly Beans to colour match your artwork.